In a new preprint, we show how to implement a quantum optimal control algorithm with automatic differentiation executed on a GPU. 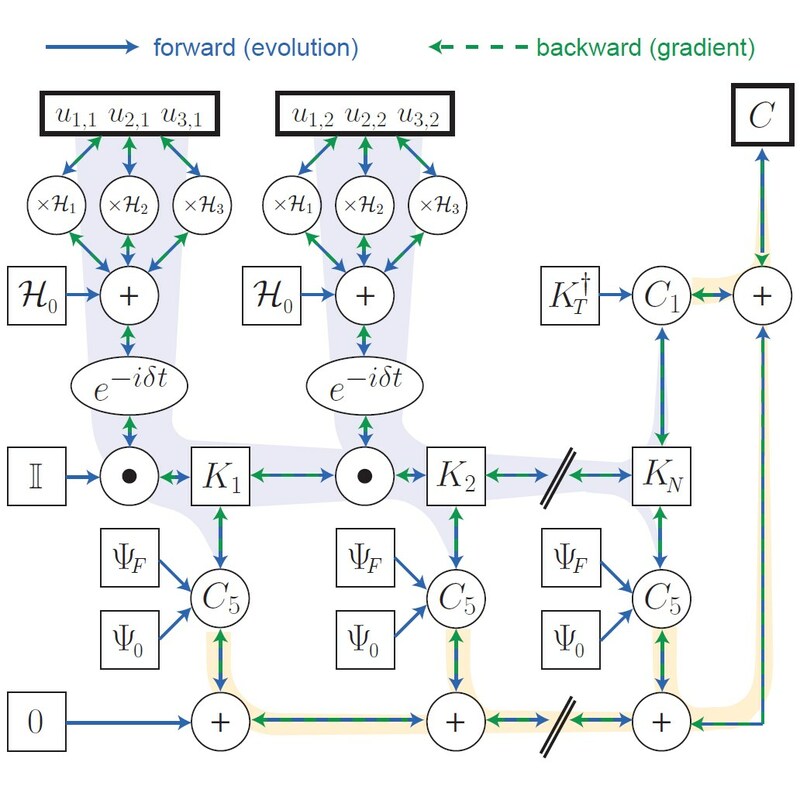 This work, done in collaboration with the Schuster Lab, highlights how automatic differentiation allows one to specify advanced optimization criteria and incorporate them in the optimization process with ease. We demonstrate that the use of GPUs can speed up calculations by more than an order of magnitude on affordable desktop computers, enabling the exploration of a host of optimization constraints and system parameters relevant to real-life experiments.